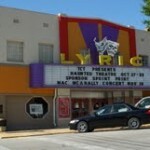 Staff of the Lyric Theatre have nicknamed their ghost “Antoine’. He is a mostly benevolent entity who apparently entertains himself by moving things around and humming. Sometimes his footsteps can be heard throughout the theater. 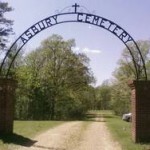 Some people believe that he is possibly the ghost of a victim who was brought to the theater in 1936 when the Lyric served as a temporary hospital/shelter following a devastating tornado that ripped through town. Many people died in the Lyric and it seems Antoine decided to stay.